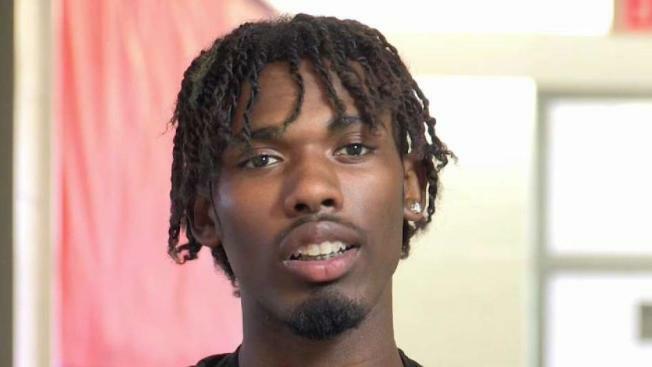 The mother of Karlonzo Taylor, the 17-year-old shot and killed inside a Hartford apartment building on Wednesday, spoke exclusively to NBC Connecticut about her son, and said she wants him remembered as more than just a homicide statistic. “He was always sharing and giving and helping,” Williams said. Taylor used his natural charm and witty personality to be a positive influence, she said. He volunteered at church and cared for the vegetable garden at Hartford’s Impact Academy, where he was a senior. A lifelong love of animals was likely to give way to a career as a veterinarian, she said. Instead, his life was tragically cut short. Police said 24 year-old William Moore opened fire inside an apartment building at 898 Park Street in Hartford, killing Taylor and wounding another 17-year-old that were gathered there, along with about four others. Moore told police he was receiving threats from people living at the building after he was robbed there last August, according to court documents. Hartford police made an arrest in connection with the robbery. After his arraignment Friday morning at Hartford Superior Court, Moore’s mother Tenesha Lee said her son had been battling paranoid schizophrenia. She did not believe Taylor had any involvement in the incident where her son robbed. “He’s always had issues… and I have been trying to get him help for a long time,” Lee said. Taylor’s family and friends are now trying to make sense of a senseless shooting. “I don’t think anyone could tell me anything to ease my pain,” Williams said. They gathered at a relative’s Bloomfield home on Friday night to celebrate Taylor’s life with laughter, food, and drinks. Williams said she is taking some time to grieve, but plans to honor her son’s memory by working to end violence in Hartford. “Too many young kids are losing their lives over foolishness. Over just plain stupidity,” she said.